Hello everyone, here is my third post for Newtons Nook. 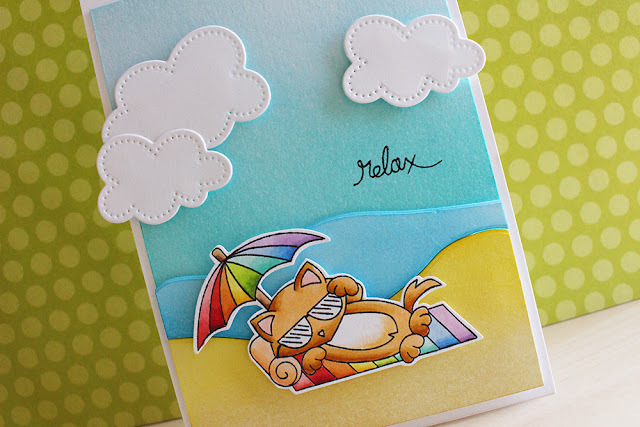 Today I'm using the Newton's Summer Vacation to create a simple beach scened card. Check out the Newton's Nook blog for more information on how I made this card!